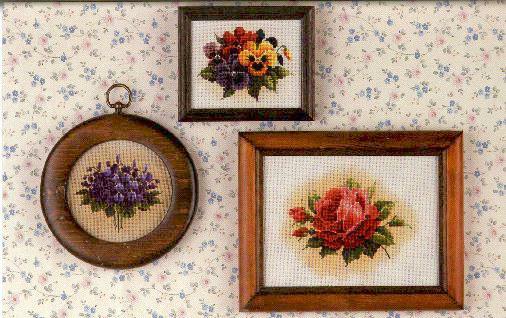 Roses, pansies, and violets in little separate groups. Includes instructions on how to stain your fabric before stitching for an antique look. 16 count Ivory Aida from Wichelt and 32 count Natural Linen from Zweigart (2 over 2). 3 3/8" x 4 3/8"